Happy Cinco de Mayo! In my pre-wheat/grain free days, hubby and I would go out for Mexican on Cinco de Mayo. Mexican food was and still is some of our favorite food to eat. 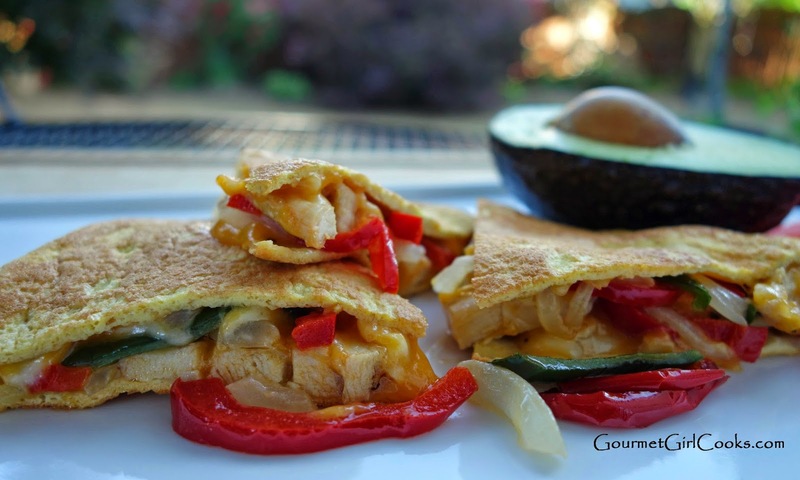 This evening I made my grain-free tortillas/wraps to use to make the Chicken Cheese Quesadillas. Last night we grilled a number of different items and I made extra grilled chicken cutlets specifically so I could use the extra leftover to make these quesadillas. When I got home this evening, I quickly whipped up the tortillas. In a separate small skillet, I sauteed some sliced onions, red bell pepper and Poblano pepper to add to mine (hubby didn't want peppers and onions in his). The recipe I made makes 4 tortillas (I actually got 5 out of it this evening). I pulled my partially used block of monterey jack cheese out to grate and it was moldy...yuck! 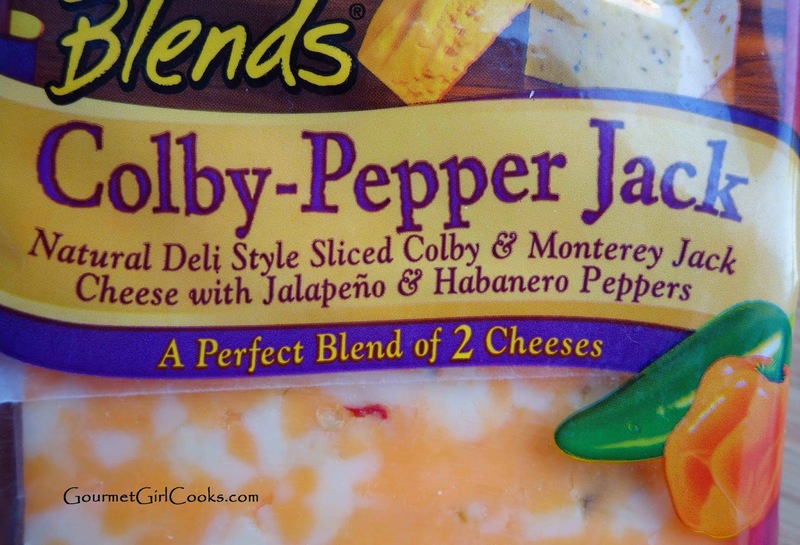 I re-grouped and used a combination of white and yellow cheddar along with some Sargento's Colby-Pepper Jack sliced cheese (it has jalapenos and habanero peppers). I diced up the leftover grilled chicken cutlets and placed a quesadilla in a nonstick skillet over medium heat and layered it with the cheese, chicken, peppers and onions, a bit more cheese and topped it with another quesadilla and browned it a bit, then covered the pan for a couple minutes to melt the cheese on top to help the top quesadilla stick so I could make "the flip." The flip is the trickiest part, getting it to flip without losing your filling ingredients. I usually lose a pepper or two and then promptly tuck it back in as the other side cooks. When its done, I slide it off onto a cutting board to sit for 5 to 10 minutes to allow the cheeses to set up so it doesn't run out when I cut it into wedges. Hubby and I really enjoyed them. I served it with some sliced tomatoes and avocado sprinkled with a bit of salt. I snapped a few photos below. Enjoy! To make the tortillas, whisk all ingredients together in a small bowl to form a smooth, thin batter. (add a little water to thin batter, if necessary). Lightly spray a 10-inch non-stick skillet or crepe pan with olive oil spray and heat over medium-high heat. Pour batter into hot skillet, tilting the pan and using a circular motion to evenly distribute the batter in the bottom. Cook for 1 to 2 minutes until very lightly browned and cooked around edges. Carefully loosen and flip using a rubber spatula; cook for another 1 to 2 minutes. Serve and fill with your favorite fajita, taco or sandwich fixings. *Note: To make 4 tortillas, use the following amounts: 1 cup egg whites/egg substitute, 1/2 cup blanched almond flour, 2 tablespoons plus 2 teaspoons of ground golden flax, 4 teaspoons finely grated Parmesan, 1/4 teaspoon salt and 1/4 teaspoon seasoning (or to taste). Pour approximately 1/4 cup of batter in hot skillet to make each tortilla. If a thinner tortilla is desired, add a teaspoon or 2 of water to thin batter, as necessary. I didn't have much luck getting mine to flip without destroying it but the flavor is great so I will try again! I was only cooking one...I think I was afraid it would burn and got nervous and tried to get my spatula under it too soon. This cooking/baking wheat free is new to me and it is such a different beast than what I'm used to. I make a batch of your cookies (choc chips/walnuts/cream cheese) every week and they have been at different levels of doneness each time. I either almost burn or undercook, lol! I've got a couple tricks for you regarding your tortillas! I use a glass pie plate AND I use a whole egg. They come out perfect every time. I use the same ingredients you have listed, except I use a whole egg instead of just egg whites. Then I grease the glass pie plate generously with coconut oil and pour in the "batter". I microwave it for 70 seconds and use a rubber spatula to lift it out of the plate. I sprinkle cheese on the side that was face down in the plate then fold it over and finish it off in my toaster oven for a few minutes to melt the cheese and get the tortilla bit crispy. 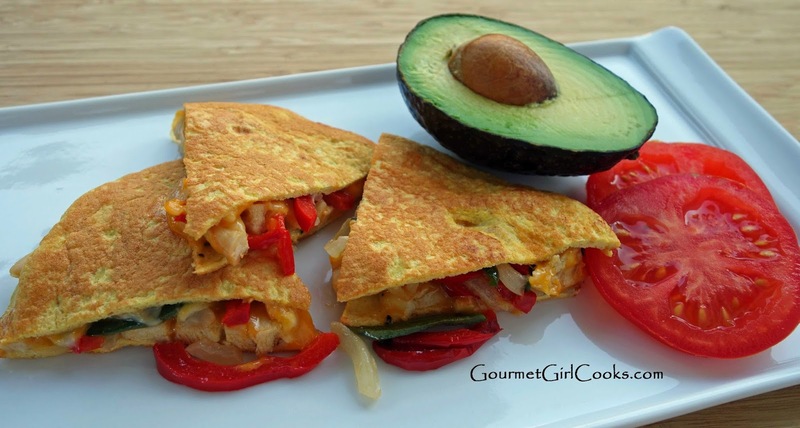 I love quesadillas, and this recipe sounds yummy, thanks for sharing.